Before reading our spin bike reviews, let’s see why spin bikes have become so famous and how cycling was revolutionized into Spinning or indoor cycling. We know that Cycling is right up there with running as a suitable activity to improve your overall health. People have been cycling for a long time, but it is only recently, in the past two decades that indoor cycling or more aptly spinning using the best spin bikes has become a productive and entertaining activity. Apart from the obvious health and cardiovascular benefits, cycling also alleviates arthritis as well as other problems related to the lower limbs, knees and joints. Cycling has also become an integral part of many rehabilitation programs worldwide, with leading health and exercise professionals advocating its numerous recuperative benefits owing to its low-impact nature. 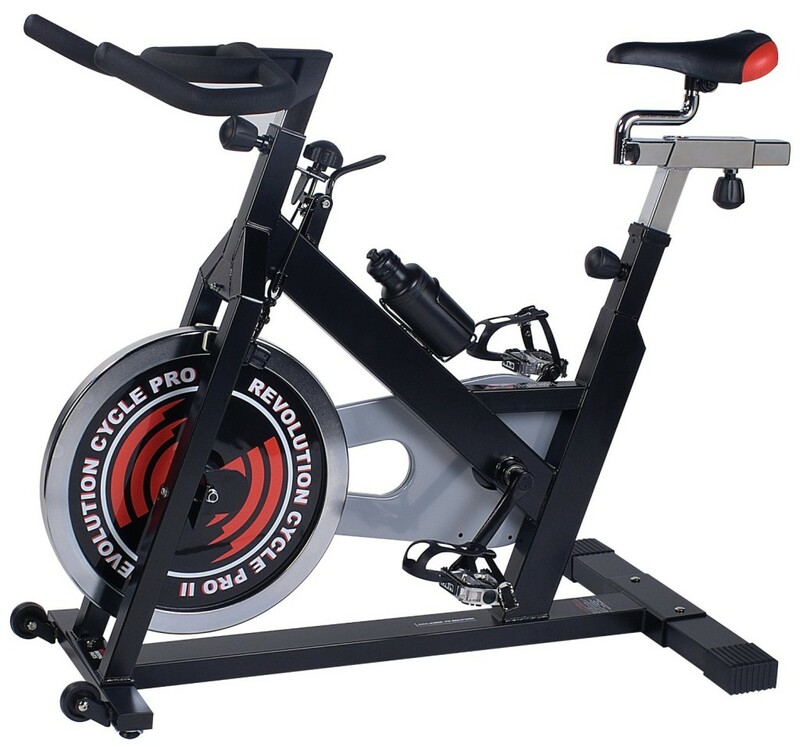 If you are looking for the top of the line Indoor Cycle with all the bells and whistles, our top recommendation for 2019 is the Diamondback Fitness 510Ic Adjustable Indoor Cycle. However, if you’re on a budget, and you’re simply looking for a mid-level bike to get your exercise in everyday, the Schwinn IC2 Indoor Cycling bike is a great option. In this article, we will simplify the buying process for you with the help of our top spin bike reviews as well as tell you all you need to know about maximizing your training withthe best spin bikes. For rehabilitation of the knees, cycling is the ideal thing to do and that too, on indoor cycles which are stationary. Joints are also positively affected by exercising on spinner bikes. Indoor cycling or spinning are a kind of exercise which helps to focus on strength, endurance, intervals, high intensity and also recovery. Read our spin bike reviews to get the complete low-down on the best spin bikes on the market today. Spinning is a relatively new phenomenon in the world of cycling. What started off as simply an alternative way for Johnny Goldberg (the founder of Spinning) to train on bad weather days, has grown into a worldwide phenomenon. Johnny formulated his very own indoor cycling training program which won him several competitions before going on to piece together the first Spin Bike. Along with fellow cyclist and long time friend, John Baudhuin, Goldberg designed the prototype for the first spinner bike. People loved it and so armed with a new found vigor they licensed the manufacturing of their exercise bikes to Schwinn Cycling and founded Mad Dog Athletics. The year 1994 is famous in indoor cycling circles as the founding year of Spinning. In time and as demand grew for this new and promising format for indoor cycling, Mad Dog Athletics developed an instructor certification program to coach trainers and professional who would teach the program. In a matter of a couple of years, the Spin bike transformed into a worldwide phenomenon with a growing number of gyms and health clubs offering Spinning sessions for their clients. Today, Spin or Spinning is one of the most successful indoor cycling classes in the world, with hundreds of thousands of people taking part in group sessions around the world. There are several benefits to spinning at home rather than join a health club. Spin sessions at large are accompanied by loud music, a room full of people packed in close together and an instructor yelling at the top of his voice to motivate and encourage you to do your best. While this may or may not sound appealing to you, the reality is that a lot of times if you’re a newbie, you do have to play catch up to the groups tempo, which can be frustrating. In our experience, beginners are better off starting at home with video and learning the different transitions and bike positions before joining the rapid pace of a spin session. By Spinning at home, you have the advantage of exercising whenever you like without the added pressure of having to push yourself too hard. You can go at your pace and gradually build up momentum. Before you even begin, you need a good spin bike with all the features to kick start your spinning program. We have put together a comprehensive collection of the widest possible range of spinning bikes in our indoor spin bike reviews. Check them out and choose your favorite Spinner bike today! In our experience and the experience of thousands of spin bike users, spinning bikes most closely simulate the experience of riding on the road. The Flywheel: Unlike other indoor cycles, the spinning bikes almost always employ a flywheel which simulates the forward motion of spinning that is found while riding a real bicycle on the road. The heavier the flywheel, the better; since the heavier the flywheel, the longer it will spin providing the rider that smoothness of stroke and cadence that is found while riding on the road. High-Intensity Workouts: Also, unlike other conventional indoor bikes, the spin bike is built for one thing and one thing only: high-intensity speed. The geometric design of all spinning bikes replicates that of race exercise bikes and is built with the purpose of keeping the rider in the most conducive spinning posture. Function over Comfort: These spinning bikes are not meant for comfort or leisure; rather they are built for delivering high intensity, calorie burning workouts. It’s no wonder that people come away losing as much as 50-60 pounds in only four months of spinning! A single spin session can create a calorie burn of more than 750 kcals in only 30-45 mins. How is this possible you may ask? Well, it isn’t often that unique spin design supporting the necessary bio mechanical framework for speed cycling meets the motivating chants of an enthusiastic professional on DVD! The spin bike is your all inclusive in-house solution to ill health, weight gain, and lethargy. All you need to do is hop on and start your journey to fitness and health. Check out our spin bike reviews to learn about the best spinning bikes with the top functional designs. It is safe: Going for cycling outside can be dangerous. It gives the same results as outdoor cycling and saves you from unprecedented crash injuries. It is effective: Indoor cycles are effective in shaping you up as you can monitor your calorie burnout. It works not only on your quadriceps but also on your hamstrings and all other muscles. It is addictive: The “feel good hormones” that are called endorphins that you experience after workout sessions can be felt with the use of the best spin bikes. These hormones reduce stress levels, encourage you to continue your daily workout sessions by keeping you motivated and induce a feeling of calmness and relaxation. All this increases your overall body health. Continuous calorie burns out: As opposed to outdoor cycling, your indoor equipment will continue to move the wheels, and you continue paddling. It does not let you rest. The intensity level at a minimum, usually 1, has no resistance and thus, there is continuous calorie burnout. Listen to your favorite beats: You can also listen to your favorite beats during the indoor bike session. It can be very dangerous in case you are cycling outdoor as it may distract you and may cause fatal injuries. But with an indoor bike, you can easily increase your pace with a fast track and vice versa, and there is no need to be worried of getting distracted. Space: Any two spin bikes would look alike, but they would provide you with a different experience. Make sure you test drive your selected spin bike. Adjustable handlebars and seat are a must while boiling down to your preferred choice. You must also determine the space that you need for the bike and then check the various models of spinning bikes that fit into your preferences. Ergonomics: It is important that during cycling, the spin bike should not wobble. The bike must be ergonomically stable, and this is a very important aspect for the bike to give you a good workout. While most other indoor exercise bikes make a lot of noise, a good spin bike is practically silent. The only thing the flywheel produces is a cool and soothing breeze that provides some relief during an intense workout. Flywheel Weight: This is an important feature as it makes spinning bikes easier to use and exercise on. The weight of the flywheel must be at least 40 lbs since lighter wheels lack the stability to create the proper cycling stroke and cadence. As mentioned above, the heavier the flywheel, the longer and smoother the spin on the bike. Belt Drive vs. Chain Drive: Most Spinning bikes use either a chain or a belt to create motion. The belt or chain is attached to the pedals, which is connected to the flywheel. When you push on the pedals, the motion is transferred through the belt/chain to the flywheel, which creates the spin. As a general rule of thumb, it is always better to choose the belt option over the chain. Belts are more durable and create a smoother pedaling stroke and require much less maintenance as opposed to a chain. The Seat: The seat is more important than you might have anticipated. It can single-handedly make or break your riding experience. An uncomfortable seat can create much discomfort in the groin area and cause you sabotage your posture and, therefore, your entire workout. It is a good idea to have a seat that changes out and can be replaced with another if the need arises. You should also consider a seat cushion or pad if your seat is unchangeable. Handlebars: The handlebars play an important role in the best spin bikes. Spinning requires cyclists to make frequent transitions between sitting and standing phases. Having handlebars that are designed to accommodate multiple grip positions is crucial to maintaining good riding posture throughout the workout. Along with the up and down position changes, it also important the handlebars allows forward/aft changes so that the rider can find a comfortable riding position. Computer Options: While a good quality computer on board your spinning bike is not crucial to your workout, it can keep you motivated or simply give you something to look at when you’re breaking a hard sweat. Computers will track stats such as heart rate, calories, distance traveled, time, speed and some even give you take you along a scenic route via GPS. Price: Money happens to be the main deciding factor as extra features like heart rate monitor, workout programs, etc. could cost your extra. Spinning bikes in the price range of $300-400 are ideal for most users, but then it also depends on individual preferences. Don’t forget to through our spin bike reviews to learn all about the pros and cons of different popular exercise bikes and their overall ratings. Exercise bikes: These are like traditional outdoor bikes with a small seat. The back does not have support. It is upright in its shape. Recumbent bikes: These provide you back support to recline and have broader seats. They are a perfect choice for people with back pains. There is a reclining seat which can be a good support. Spinning Bikes: These are for an advanced cycling experience with seats higher than the two previous exercise bikes to provide intense workouts. These are not for comfort but to deliver high-intensity workouts. At last, wear the right shoes while cycling and stay motivated. In case you wish to get some more information, go through our complete spin bike reviews, which are listed below. Take a look at the following top selling five spinning bikes that are designed to deliver high-intensity workouts from the comfort of your home. The SF- B901 Pro Indoor Cycling Bike is an affordable indoor bike which can be used by anyone, be it a beginner or spin bike enthusiast or a person who is looking to get into shape or improve their level of fitness. The sf-b901 pro might be over-shadowed by the fancier models of spinning bikes with inbuilt computer features, but for the most part, it is a durable and sturdy spinner bike for beginners. However, if you are looking for something simpler, effective and one that fits your budget, SF-B901 is the bike for you. The SF-B901 is a sturdy, reliable, lightweight model that is durable. It has a 40 lb flywheel that is known to be its best feature as this enhances the efficiency of your workout at home. Not only this, but it also has an adjustable seat, handlebars and a good level of resistance to offer to make it suitable for any rider. Looks are no less as it comes with silver and red design. Sunny Health and Fitness is a California based company that is known for its distribution of quality line fitness equipment for more than a decade. Customer support is the company’s priority. It provides a very good customer support and warranties cover. You can’t go wrong with SF-B901 if you are looking for a bike that not only stays in your budget but also provides you a great and effective workout. It also covers the good looks and the easy to assemble feature which makes it, even more, wanted when all you need is a simple yet an effective workout. Schwinn is a company well known for its experience in making bicycles for over 100 years now. From 1966, they have also mastered the health and fitness division, giving other companies a tough competition. 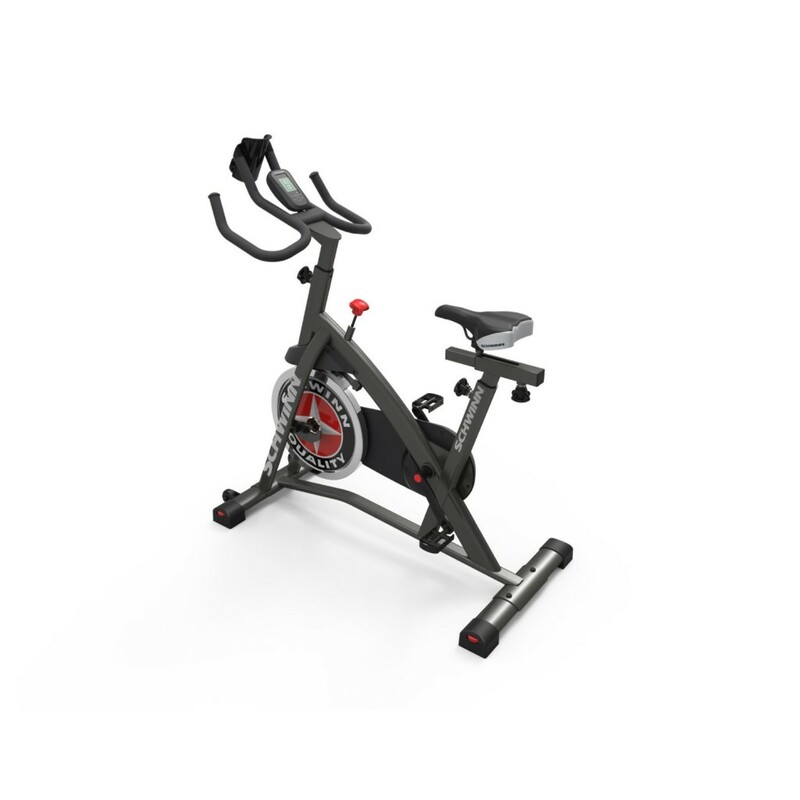 Schwinn spin bikes are top of the line exercise bikes. The IC2 spinner bike provides you the perfect workout along with the real feel of a hard-pedaling bike. You can get all this by just working out from your home. Don’t worry about your weight because this bike supports several weight limits. The resistance offered by the bike is adjustable according to your preference and convince. 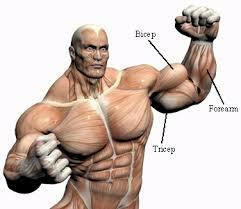 You can slowly increase your resistance, thereby having a progressive, effective workout. Wondering about the price? Well, here comes the shocker. It costs only $ 367.44 making it totally cost effective. 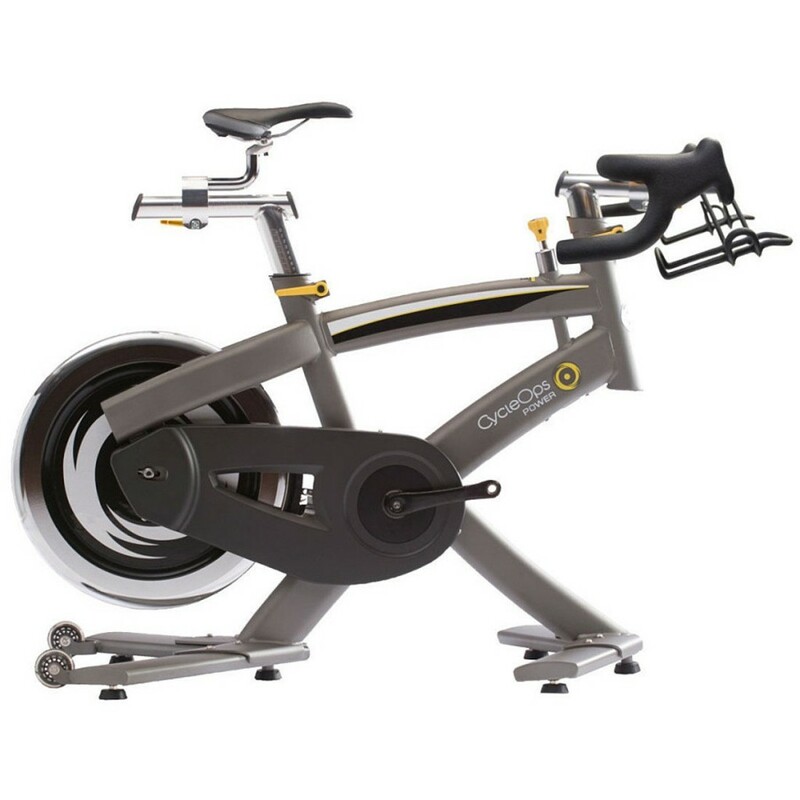 This spin bike earns gold stars because of its stable structure, LCD and a great resistance. Besides all this, for such a reasonable price, I think it is a very good deal and a long term investment. 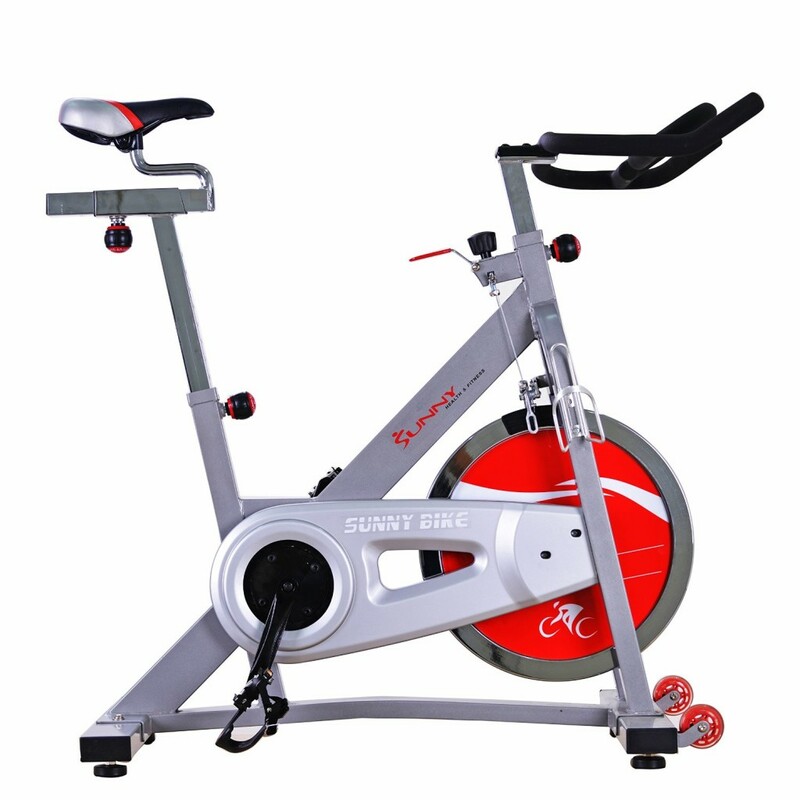 This spinner bike is the right choice for you, whether you are a long term addict or just a beginner who is developing interests in indoor cycling. It is not only highly efficient but also comes at a very affordable price. The versatility shows in its functions which are committed to making your exercise effective and comfortable. It also offers you a direct drive resistance mechanism that leads to a powerful, yet smooth performance. The emergency brake system is something new and isn’t offered by many models out there. It allows you to have a safe workout. Not every spinner bike out there is made to have those fancy features. Some are there just to provide you all that is necessary to help you reach your goal of health and fitness. 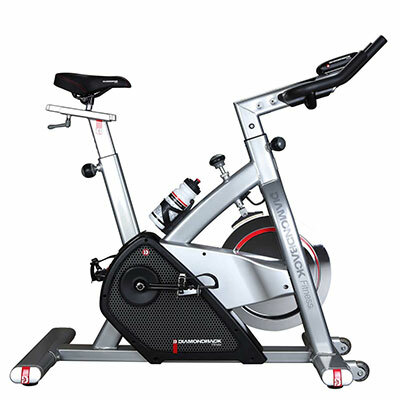 However, schwinn spin bikes, such as the IC2 spinner bike offer you durability, reliability, and effectiveness. Intense and safe workout with a reasonably decent price. If you are willing to work without a computer console, then this bike will be a good investment for you. Diamondback 510IC comes on the higher-end list and has been the best buy rated bike. The best feature of this bike, according to me, is the resistance it offers (up to 16 levels), which can be adjusted by the user according to his or her convenience. It is especially beneficial to athletes as they have the option of selecting any workout they want from over 14 workouts programs. Heart patients are also provided with four amazing cardiovascular programs that help them keep an eye on their heart rates. Tracking of your cardiovascular goals does not go wrong with it as it has an ultra-sensitive heart monitor that is present on the handlebars. The 510IC is famous for providing comfort as it comes with a thickly padded seat and handlebars that offer nothing but superb comfort. Anyone out there can use this bike regardless of their size, height or weight. The 510IC is very durable; it will last for several years if not a lifetime when proper care is taken. You will now be read about a spinner bike that is gym-quality resistance trainer and comes with a 48 pounds flywheel. As we all know, heavier the flywheel the smoother the pedaling motion. This bike truly gives you a road bike feel. To make that more realistic, CycleOps road style handlebars are provided (aero- style handlebars can also be purchased separately). The resistance control it offers you is an important feature. It allows you to change the intensity level to help you meet your goals. Have an important call to attend? You can get off the bike and then get back on it anytime you like. There are many other features that have been added to the bikes popularity like four points of micro adjustment to replicate the fit of an outdoor bike and highly stable base for sprinting workout for hill climbs. Nice touch that is given to this bike according to me is the option of swapping saddle and pedals for a more customized ride. The 100 Pro psi is a good investment if your family plans on using one machine that is sturdy and easily adjustable. The 100 Pro Spinner bike also comes with a dual capacity water bottle holder, 3-year mechanical components, and one-year electrical warranty along with frame warranty for a lifetime.